Paddy Power, the online wagering site, posted a somewhat tasteless ad, “Always bet on black,” and included a picture of American boxer Floyd Mayweather. Paddy Power has been known for posting these types of ads in the past. Mayweather, who is undefeated, is perhaps one of the most important sports figures of the last two decades. He has won 50 fights. This is not the first time that Paddy Power’s ads have been pulled. One ad showed a security guard who was on the phone playing a slot game while at work. 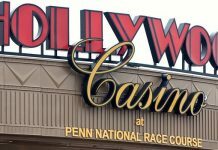 The ASA took the commercial off the air because it said it was supporting gambling in the workplace. 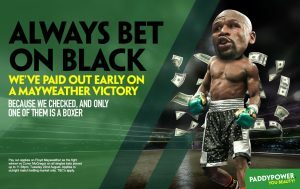 The site’s most recent ad, ”always bet on black,” included an image of famed American boxer Floyd Mayweather. This ignited the anger of a lot of people who believed this was cultural and racially insensitive. The online broker was quoted as saying it was a pun on roulette. “It was not used in a derogatory, distasteful or offensive manner and the overall tone of the ad was light-hearted and humorous,” an official explained. Despite the statement, the advertisement was in very poor taste, and the racial image and phrase were more than too much to be considered by some to be only just a pun. However, the ASA banned the advertisement. Paddy Power has a long history of creating ads that are very distasteful, and it has gotten itself in deep water in the past. The online gaming website has had a long history of pushing the envelope and stirring up people’s ire. Its ads are very questionable. Just this March, the website was looking for a person to become the head of Trump, who the website was going to ridicule in an ad. It is safe to say that the website has no problem pushing people’s buttons and provoking a negative reaction. There is a saying, “the only bad publicity is no publicity.” This seems to be a motto by which the website lives because many of its ads are quite tasteless. One must question if this is part of its marketing and advertising strategy. If so, it’s a fearless genius. The best way to get attention from people is to stir their emotions. Bad publicity would spell doom for most businesses or companies. 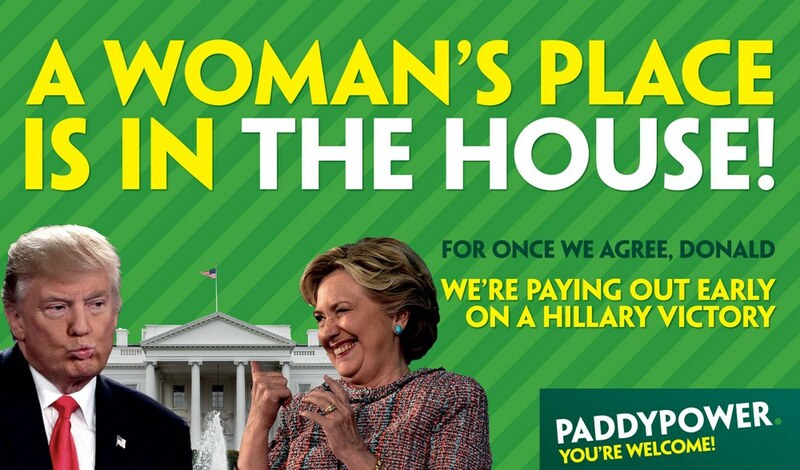 But, in Paddy Power’s case, it appears having bad advertising is good for its success. The best way to provoke attention from people is to step on their toes. People, for the most part, are dull, and to wake them up, you need to spark them emotionally. Harsh and distasteful as the ads may be, and some of them are very poor and bland, at the end of the day, they spark a conversation, and that is what marketers and advertisers want. They want people to notice them. However, because of the ASA, much of the site’s advertising is rarely see for too long. This has sparked somewhat of a debate over freedom of expression. This may very well be nothing more than a publicity stunt on Paddy Power’s part. If so, then the site knows how to get people to pay attention. 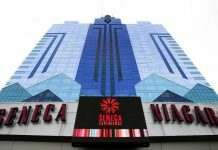 Despite its derogatory image and advertisement, it hasn’t stopped people from visiting the online casino.